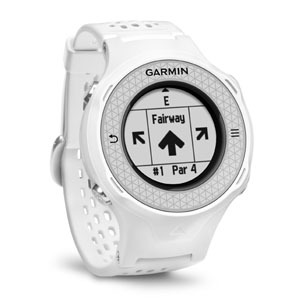 Approach S4 GPS golf watch is lightweight, comfortable and precise. With more than 40,000 golf courses around the world, the stylish S4 has a dedicated Green View button for quick access to the green with manual pin positioning. 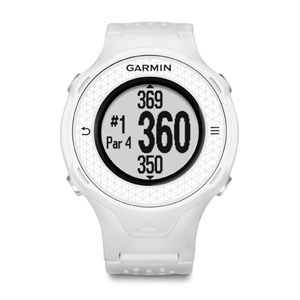 And better battery performance allows for round after round of precision golf. Never miss another text, email or RSS alert. S4 acts as a wireless extension of your compatible smartphone¹, displaying whatever your phone does, right on your watch. 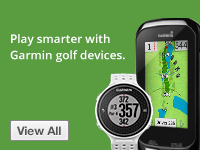 Now you can read that email or text you’ve been waiting for wirelessly — even in the middle of the fairway. Approach S4 comes with more than 40,000 courses from around the world. Free course updates are available from Garmin Express and make full coverage available for all of the countries illustrated on the map in blue. However, because of memory limitations and the continuous increase of golf course coverage, the update can only be performed for 2 preloaded maps. 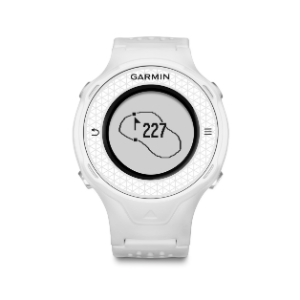 When updating courses, Garmin Express allows for the selection of any 2 of the 3 regions to update at 1 time onto the device. Once updated, the S4 can store any 2 of the 3 regions on the device. Regions can always be changed at a later time. Approach S4 shows you the true shape and layout of greens so even if you have an obstructed view, you’ll know where to aim. 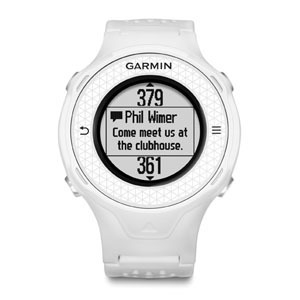 Plus, you can touch and drag the pin to the days’ location for even greater accuracy. Course management is key — especially if you haven’t played a course before. Layup distances shows you the distances you need with yardages to doglegs and other hazards on the course. 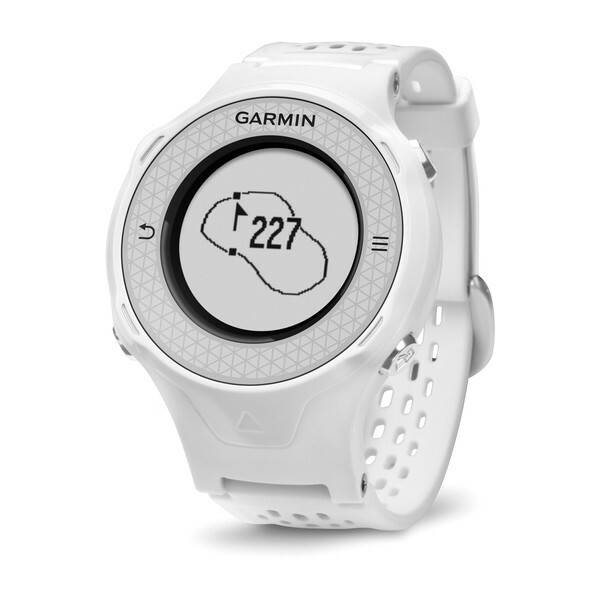 Receive emails, texts and more, right on your watch. S4 displays alerts from a compatible smartphone wirelessly. Say goodbye to subscriptions and fees — Approach S4 comes with more than 40,000 courses around the world and has a rechargeable lithium-ion battery.